The Dog’s Trust has teamed up with Three Spires Shopping Centre and will be home to its own Puppy Play Park for the next 3-months! Over the past year, Three Spires shopping centre has dedicated each quarter to actively supporting a community partner close to our hearts. 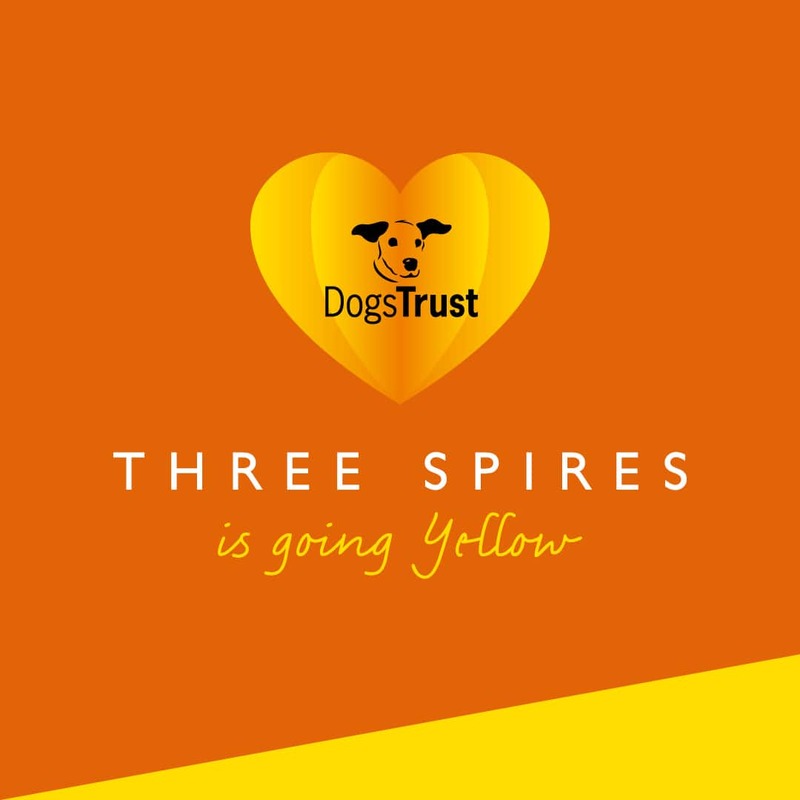 From April to June, Three Spires is going YELLOW in honour of the Dog’s Trust. Donation collection tins can be found in participating stores – look out for the campaign stickers in the windows – and visit our Puppy Play Park for some fun with your furry friends! Three Spires shopping centre is very proud to be working with the Dog’s Trust particularly as we’re em’bark’ing on a blossoming Spring! Keep updated to our charities and just how much the people of Lichfield has helped us support charities close to our hearts. Follow us on Facebook, Twitter or Instagram for more information and updates about our ongoing activities. Find out more information of the Dog’s Trust here. Thank you for your support, Lichfield!